Most diets are so 20th century. Join the modern world by creating sound nutrition plans that align what you eat with your goals, taste preferences, and schedule! There are lots of different diets out there, but most of them are impractical and unsustainable, resulting in "yo-yo" dieting, where you lose and gain weight repeatedly. But successful long-term change isn't about going on diets that are hard to follow. Dieting in way that's right for you is all about creating a plan you can follow consistently throughout your life. That only happens when the diet conforms to your tastes in foods, your schedule, and your exercise preference. When you eat like this, the only thing you need to change over time is your daily caloric intake. Your basic approach to your food choices remains the same. So, instead of starting 2017 by hopping on the latest "diet of the year," read how these three popular, research-backed, nutritionally sound diets can set you up for a lifetime of healthy eating. The keto diet gradually shifts your body's primary fuel source from glucose to fat. Your body has an extensive supply of fat at its disposal. By training your body to use more fat for fuel (a process called ketosis), you have the potential to lose a lot of weight. Who it's best for: The keto diet is good for people who mainly want to lose weight, and who may have struggled in the past with other dietary approaches. It also works well for people who prefer fatty, savory things like avocados, eggs, cheese, cream, butter, chicken, and beef over carb-laden foods. Who it's not best for: While research results have been mixed, the keto diet isn't recommended for people who want to improve rep PRs, 1RMs, or sprint times. [1,2] And if you're almost addicted to carbs and are a long way from being "keto-friendly," you might want to try one of these other ideas. What it is: Intermittent fasting (IF) involves intentionally fasting (going without calories) for a set amount of time. Following an IF plan usually means fasting 16 or more hours per day, which can increase your body's ability to increase fat oxidation (breakdown), reduce body weight, and accelerate fat loss. [3,4] The nice thing about this diet is that you can eat just about anything you want. You just have to organize your meals so that you're consuming fewer calories than you're burning. Who it's best for: IF is best for people who want to lose weight. It is especially well-suited to people aren't hungry in the morning then have a very busy schedule with few opportunities to stop and eat. It can also work for those who have trouble controlling their sweets-and-treats intake. Who it's not best for: IF is less ideal if you want to gain muscle. 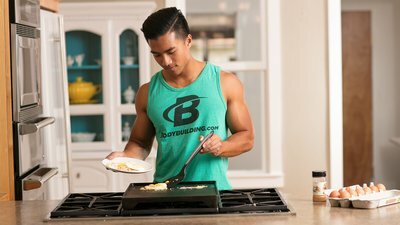 Going for prolonged periods of time without amino acids places your body in a catabolic (muscle breakdown) state for more than half of the day, which doesn't help build muscle mass. Key point: It's best to start by fasting for short periods of time, then gradually increase them over time. Sleep counts toward your fasting window, so you can begin your fasting after a bedtime meal, then not eat again until the next day. If you're following the 16/8 LeanGains approach, you would have your last meal at 9 p.m., then fast until 1 p.m. the following day. Who it's best for: While this diet can produce modest weight loss, it doesn't appear to be as beneficial for this purpose as a higher-protein, lower-carbohydrate approach. [5,6] However, it's well-suited for people focused on their performance goals who want to lean out to further improve performance. Carbohydrates are your muscles' primary fuel source, so high carbs can help you get through hours of difficult training—even two-a-days. Who it's not best for: If, on the other hand, performance isn't a high priority for you, or you're more interested in losing weight, this approach probably isn't for you. The same is true if your body doesn't respond well to high-carbohydrate meals or if you have a history of prediabetes or type-2 diabetes.